This second time, when "This Book Makes Me Cook" picked the book for October, I thought I'd just go back and pick a recipe (there's one at the end of each chapter). But I got drawn into the story and ended up reading it all over again. The Meenal-Kiran duo gets the most coverage in the book, but my favorite of the lot is Uma the rebel. Who understands her daughter Rani way better than the other two. Or maybe I just like her independent streak. 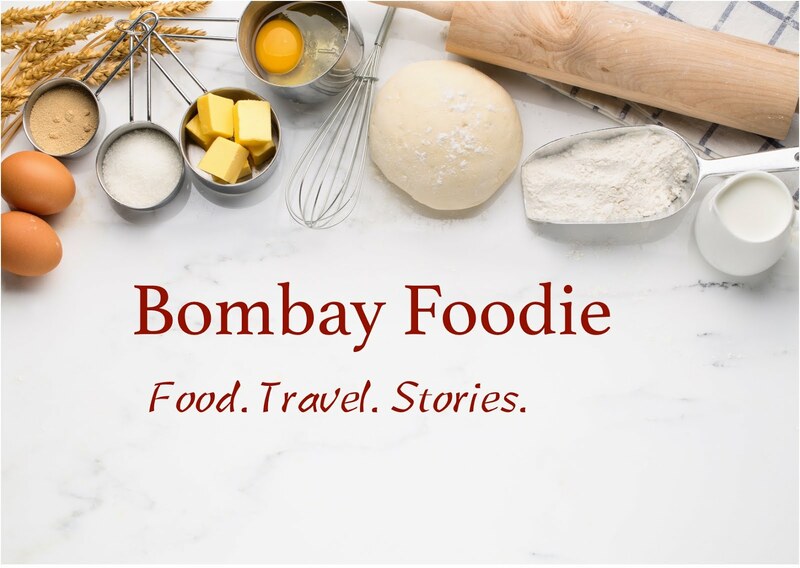 When it came to picking a recipe, I wanted to pick one from the Uma-Rani repertoire. Not to mention something that showcased their combined cultural influences. 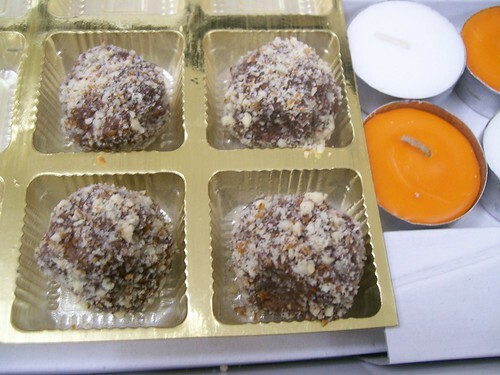 So I picked Rani's chocolate Sandesh truffles - the delicate, traditional sandesh presented as you would a truffle. Rani's recipe uses homemade chhena and cocoa powder. I converted it to use store bought paneer and melted chocolate (never use cocoa when you can use chocolate!). So first, take 100 grams paneer and knead it lightly will your palms until the grains disappear and it turns very smooth. In a microwave safe pan, melt 70 grams semi-sweet chocolate. Do it in 30 second bursts i.e. heat it for 30 seconds, whisk with a fork, back in the microwave for 30 seconds until melted and smooth. Add the kneaded paneer and mix well. Pop it back in the microwave and cook on high, again in 30 second bursts and stirring each time, until the mixture loses most of the moisture and thickens. It took 2 minutes in mine. Let cool to a temperature where you can handle it but it's still warm. Shape into balls with a cookie scoop or between two spoons, then roll to smoothen out the truffles. Roll in coarsely ground almonds and let cool. Looks like I am not the only Uma fan in our book club. Aparna made chocolate sandesh truffles too, complete with a chocolate drizzle. Ann picks an Uma recipe too and makes Bengali Grilled Salmon. Also check out her review. Aqua made Saroj's Punjabi samosas. And finally, Jaya makes Meenal's kheer. Next month, we are reading Bread Alone by Judith Ryan Hendricks. Leave a comment here if you want to join us and I will get back with more details. I too love HBC,and can feel some sort of connection with the characters.And BTW Uma is my favourite too.I always wondered why she is sidelined then thght its just my feeling.I feel more than independent streak its her practical wisdom that makes her the way she is -well a bit of everything we must say. Well,I too will never use cocoa when we can have chocolate dearie.Love the sandesh truffles and your thought on the book. Hope you had got my mail on my inability to join this time.I am also not sure of next month,as I have not yet got the book. How very delightful Simran. I love your reviews on the books you read and the recipes you make out of them!..wish it was that day when I can say I will join you!..until then I shall enjoy these the other way.. Interesting review...and a nice and quick recipe! Yeay!! You liked Uma too? My fave character in the book as well and the reason for my choice of something Bengali to make. Kudos on the truffles - this was the next recipe that I would have attempted from the book. I loved the Hindi Bindi club ! Found it at the local Library and pounced on it ( mainly 'coz it had recipes as well! ) A foodies delight as well as a good read ! I have never tried chocolate sandesh! look like choco truffles! Never use cocoa when you can use chocolate - I love that!! Lovely truffles and lovely sentiment -- "never use coco when you can use chocolate'. I liked the book but couldn't help comparing it with TJLC. But like you said, the uniqueness of the characters sets it apart. I do have some contentions with the book. Will post the review soon and talk about it. Like it : never use coco when you can use chocolate. Interesting review and quick & easy recipe to follow. You guys are making me want to read this book! Truffles look really good. Infact had read about HBC long time back on Meera's blog here : http://enjoyindianfood.blogspot.com/2007/12/novel-food.html , so when you mentioned it had a craving to read it, anyways next time !